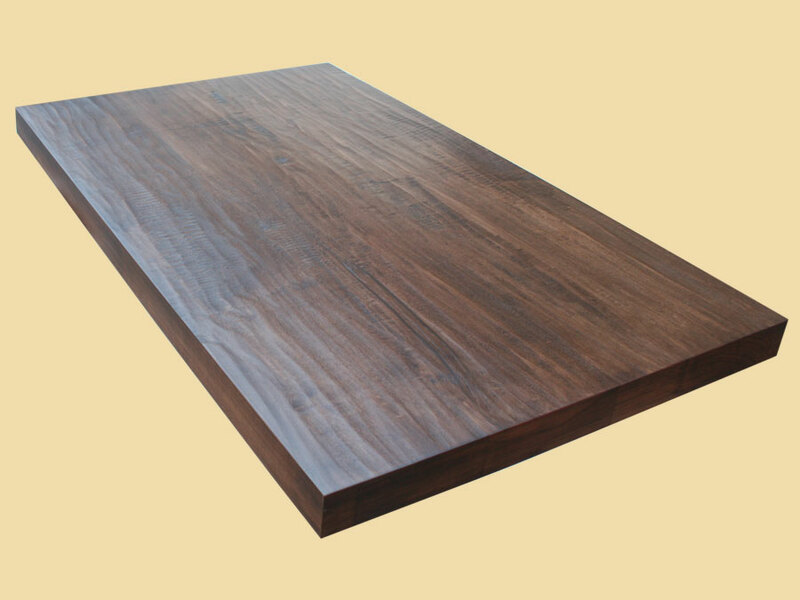 Premium Quality Hand Scraped Chocolate Maple Plank Countertop. In a sea of builders-grade countertops, how will you make your kitchen stand out? If you long for a one of a kind countertop with a rustic feel, look no further than the Country Mouldings hand scraped Chocolate Maple plank wood countertops. With their rich chocolate brown color and one of a kind hand scraped texture, these countertops will instantly add warmth and beauty to your kitchen. Versatile enough to pair with light or dark wood, the color variation of this hard maple will fit into your existing kitchen with ease or help you create a new kitchen of your dreams. Our Chocolate Maple hand scraped plank countertops are the perfect fit for your modern, rustic kitchen. After the countertop is stained rich chocolate brown, we then apply a catalyzed conversion varnish to seal in its beauty and protect the wood. At Country Mouldings, we create our wood countertops the way they used to – with high quality materials and by the hands of a skilled craftsman. 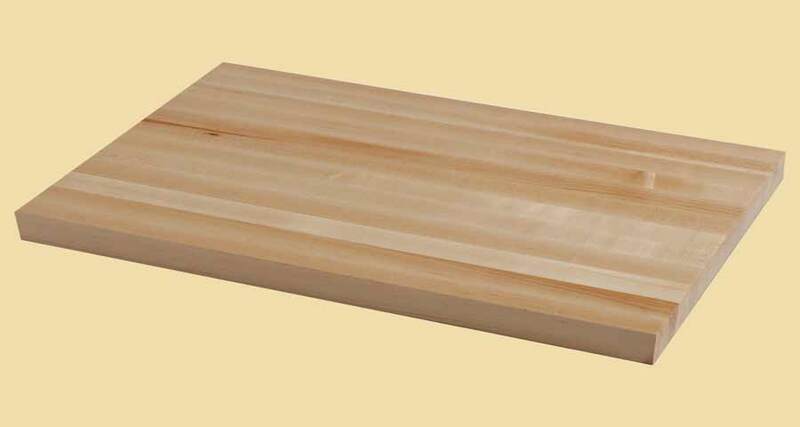 Our wood plank countertops are crafted with the finest FAS and Select grade lumber which ensures that you will enjoy your countertops for many years to come. First, we apply the stain to the top, sides, edges and underneath. Then three coats of our catalyzed conversion varnish are applied to the top surface and two everywhere else. The stain adds a beautiful color and the varnish adds a semi gloss look that is hard and durable. Your plank countertop will be hand scraped on the top surface. It will not be scraped on the sides, edges or underneath. The scraping may or may not run into your top edge choice. 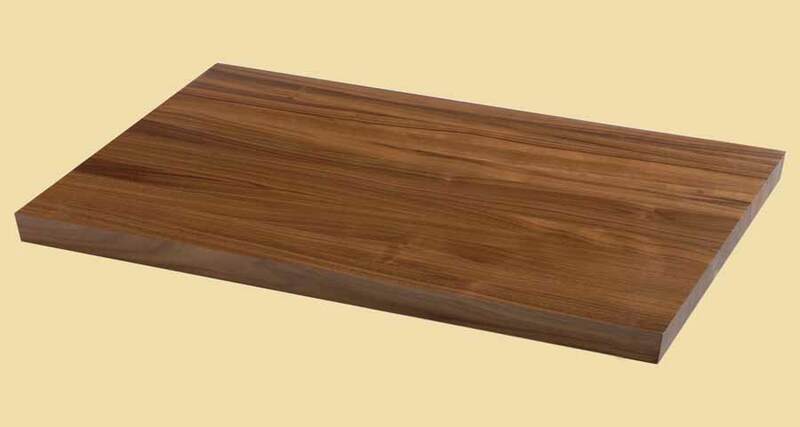 Note: These prestained butcher block countertops are not appropriate for preparing food directly on the surface. Note: While the picture above does show the actual stained countertop, the product you receive may look a little different. Wood varies and every piece is unique. Monitors, printers, lighting and cameras vary. Wood also changes color as it ages. The picture is just meant to give you a general idea of the color and grain of your countertop.